Are you looking to save money on your next home purchase? Well look no further. This home qualifies for a No Closing Cost Loan, saving you thousands. 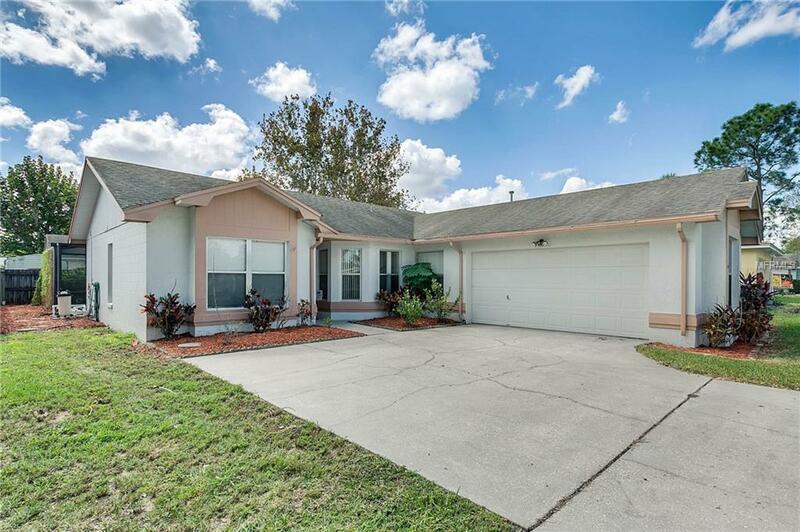 Come see this affordable 3 bedroom 2 bathroom POOL HOME located in the family oriented community of Fox Ridge. Upon entering you welcome an open floor plan with carpet flooring in the main living space and laminate flooring in all the wet areas. The kitchen features wood cabinetry, ample counter space and sleek appliances. The desirable split bedroom floor plan allows for privacy among the house hold. The master bedroom has carpet flooring and its own bathroom en-suite. The two additional bedrooms are generously sized and share a nicely appointed bathroom. Enjoy those hot summery days by the screened in pool and partially fenced in yard. Conveniently located to schools, shopping, and dining. Short commute to Legoland and highway 27. Call for an appointment today to make this home yours!